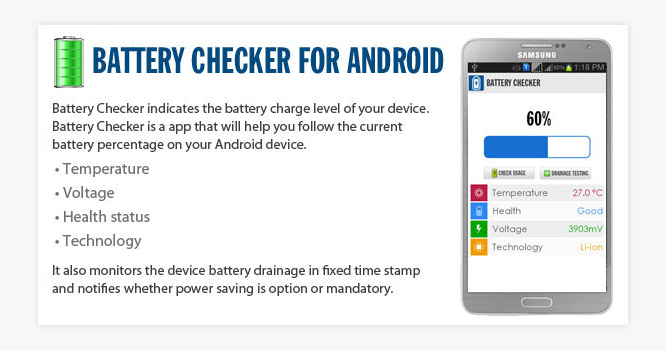 Android Battery Checker app is to check the battery status of an android devices. 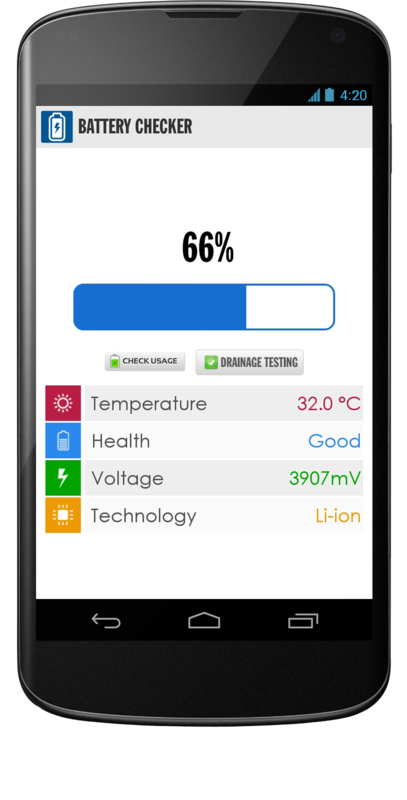 It provides the user an idea about the current battry status along with facts like temp,voltage,health etc. 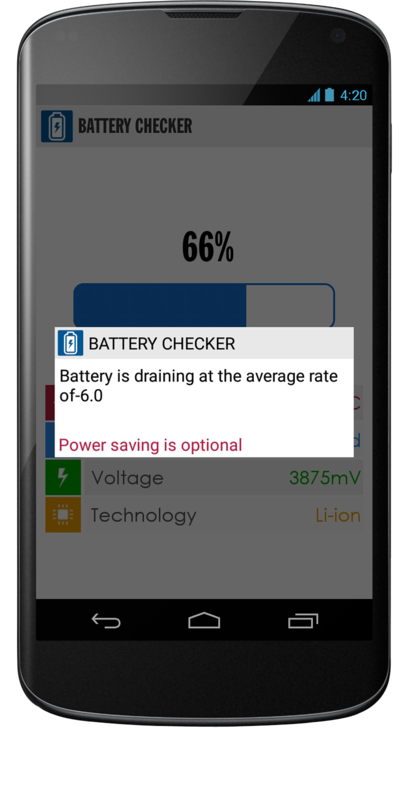 In this app BroadcastReceiver class and BatteryManager class used. The BatteryManager class contains strings and constants used for values in the ACTION_BATTERY_CHANGED Intent. Tracking class use to track the current battery power. 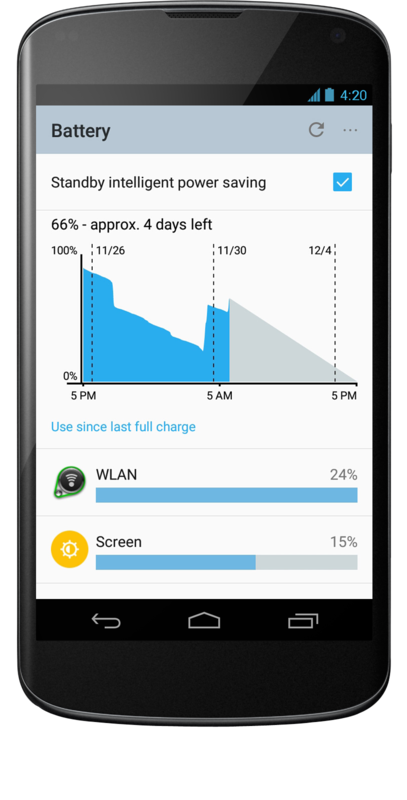 Also Android Services and NotificationManager class used with PendingIntent to broadcast battery power at the time of application running. Graphics library used to implement TypeFace class for external fonts in app to give better User interface.